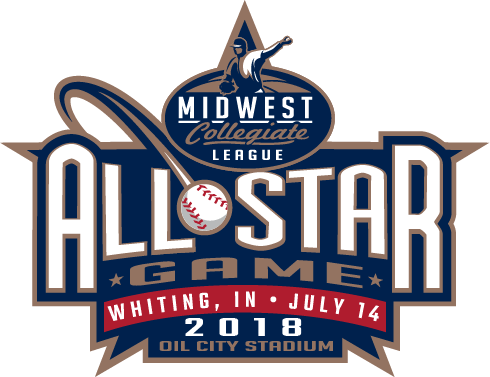 5 Ben DeYoung C 6' 0" 175 lbs R R Olivet Nazarene Thornton, Ill.
3 Blake Soria C 6' 0" 176 lbs R R South Mountain CC Homer Glen, Ill.
45 Brian Vance C 5' 11" 180 lbs R R Saint Joseph's (Pa.) Chicago, Ill.
34 Dan Cryan C 6' 2" 190 lbs R R South Suburban Orland Park, Ill.
25 Alex Dobrzeniecki IF 5' 10" 180 lbs R R Olivet Nazarene Lowell, Ind. 12 Christian Poulsen IF 5' 9" 165 lbs R R Maryville College Schaumburg, Ill.
11 Cole Blatchford 3B 5' 10" 175 lbs R R Air Force Academy Highlands Ranch, Colo.
16 Maurey Garrett IF 5' 5" 150 lbs R R Heartland CC Flossmoor, Ill.
22 Michael Jahnke 1B 6' 1" 190 lbs R R Coe College Lansing, Ill.
1 Michael Ruffolo IF 5' 7" 155 lbs R R Rockhurst Norridge, Ill.
4 Pat Mayo 3B 6' 1" 155 lbs R R Spring Hill College Oak Lawn, Ill.
44 Pat McGowan IF 6' 3" 175 lbs R R Kalamazoo Valley CC Frankfort, Ill.
42 Trey Romay IF 6' 0" 170 lbs R R College of DuPage Downers Grove, Ill.
46 Brandon Simon OF 5' 10" 170 lbs R R Arkansas-Pine Bluff Chicago, Ill.
33 Colton Rydlewski OF 6' 0" 195 lbs L R Albion College Schererville, Ind. 9 Evan Bell OF 5' 9" 192 lbs R R Memphis Oak Park, Ill.
2 Jackson Shepherd OF 5' 11" 170 lbs R R Mesa CC Channahon, Ill.
6 Reggie Brock, Jr. OF 6' 0" 190 lbs R R Chicago State Chicago, Ill.
15 Shane Peisker OF 5' 11" 205 lbs L R John A. Logan College Hammond, Ind. 18 Andrew Stone P 5' 7" 150 lbs R R Undecided Chicago Heights, Ill.
50 Chris Torres P 6' 4" 190 lbs R R Wabash Valley CC Chesterton, Ind. 15 Corey Demos P 5' 11" 165 lbs R R Harper College Chicago, Ill.
47 Jake Miller P 6' 2" 210 lbs R R Concordia Plainfield, Ill.
13 Kyle Ostrowski P 6' 4" 220 lbs L L John A. Logan College Tinley Park, Ill.
29 Malik Binns P 6' 7" 240 lbs R R Waubonsee CC Bolingbrook, Ill.
8 Peyton Bizarri P 6' 0" 180 lbs L L Indian Hills CC Taylor Ridge, Ill.
7 Stephen Gilbertsen P 5' 10" 155 lbs R L Illinois State Chesterton, Ind. 24 Tyler Zarembka P 6' 2" 185 lbs R L Joliet JC Plainfield, Ill.
© 2019 Crestwood Panthers. All rights reserved.